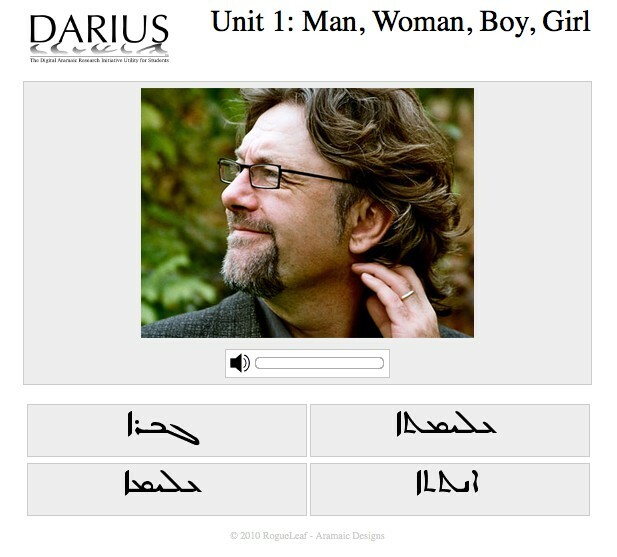 DARIUS is currently developing several vocabulary and conversational language building tools for various Aramaic dialects. Specifically designed to tackle ancient languages, our Matching Module associates spoken words to images and written text using methods similar to those used by modern language learning systems such as Rosetta Stone®, Pimsleur® and others. It is currently in closed beta, and it is hoped that it will be publically available some time soon, as well as integrated to our Courses. RogueLeaf and the DARIUS service are in no ways affiliated with Rosetta Stone® or Pimsleur®.